Synopsis:Senior correctional services officer Man Sheung Sing (Lawrence Ng) is in charge of supervising and disciplining the inmates at the Stanley Prison. Having to confront unruly prisoners every day, Sheung Sing takes each step of his life cautiously. Adding more stress to his job, his subordinate Kiu Ching Kiu (Vincent Wong 王浩信) often violates regulations and even goes as far as starting a romance with a prisoner. Stationed at the Lo Wu Correctional Institution, officer Yiu Ka Oi (Kate Tsui) confesses her love to Sheung Sing. Ka Oi is more than ten years younger than Sheung Sing and has known him for many years. Sheung Sing rejects her out of fear that their relationship will fail like his last marriage. Sheung Sing’s good friend and colleague Yung Wai Jun (Kenny Wong 黃德斌) can tell that Sheung Sing is afraid to fall in love with again. Like Sheung Sing, Wai Jun also faces trouble at home. Fortunately, Sheung Sing’s ex-wife Yip Nga Lui (Jade Leung 梁琤) and colleague Chi Chun Gwong (Tracy Chu 朱千雪) are there to support him. class="headline" style="font-family: arial, helvetica, clean, sans-serif; font-size: 26px; font-style: normal; font-variant: normal; font-weight: normal; line-height: 1.21em; margin: 0px 0px 10px; padding: 0px; background-color: rgb(255, 255, 255);"Vincent Wong works hard for "Tomorrow is Another Day"
20 Oct – Despite receiving commendable reviews for his role in TVB's "Tomorrow Is Another Day", Lawrence Ng will not think too much about his chance at winning TV King at this year's TVB Anniversary Awards, as reported on On CC News. Speaking to the media at the press conference of a radio programme in Tsim Sha Tsui recently, the actor, who plays the role of Senior Correctional Officer Man Seung Sing in the station's first series about correctional institution, stated that while he believes winning would be rewarding, he will not put too much hope into it. "Last year, everybody thought that Julian Cheung would win it, but in the end, he did not get the award. That's why you can't predict such things." Meanwhile, Lawrence revealed that he has no plans to leave TVB for good and will continue to film with the company on a per-series contract. "Tomorrow is Another Day" also stars Vincent Wong, Kate Tsui, Kenny Wong, Josie Ho, and Tracy Chu. Kate Tsui, who has played authority figure roles many times, recently accepted a new challenge with her new drama, "Tomorrow is Another Day", playing a female correctional services officer. On the outside, her personality is very cheerful, but deep inside hides an enormous pain from her childhood. There are definitely many "internal emotions" scenes, and she even attempts suicide for love. It is well known that being able to impact the audience in these types of scenes is not an easy thing. However, Kate was praised by the producer for acting realistically, definitely possible at a shot for TV Queen. 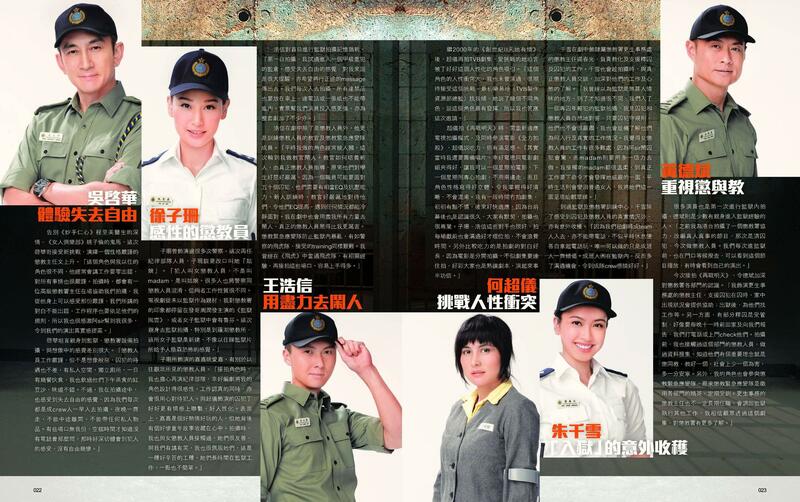 Kate Tsui's new challenge in "Tomorrow is Another Day" is to play a correctional services officer. To hide the fact that she has hidden pain and fear, in addition to the fact that she and Lawrence Ng has an 18 years difference relationship, Kate put a lot of effort into her look and character. Other than wearing a mushroom head wig, her wardrobe accessories are especially young, and even made special adjustments to the way she speaks, in order to convince the audience. Speaking of the friendship between her and Harriet Yeung (Ha Tau), an officer and a prisoner, in the drama, it was misunderstood for love, and in the end, caused Harriet to end her life. On the other hand, her relationship with Lawrence is in between the lines (because of the hesitation in their relationship); therefore a lot of internal emotions were built up in Kate's character, and eventually explodes all at once. She even tries to commit suicide, she said: "Because of the story with Ha Tau, my character feels like it's all her fault, and in addition to many issues and problems, the explosion is huge. It was a very heavy emotional breakdown, so when I filmed it, I had to develop the emotions. I really wanted to film it in one take, but because we have to film in different angles, I had to cry all night. Good thing the outcome was pretty good in the end." About committing suicide for love in the drama, Kate expressed that she would never do that in real life. She stated: "There is always a reason when two people can't be together, so even if you suicide, you can't solve the problem. Putting pressure on the other side, dying or not, the feeling is still painful, so why suicide? (Then what happens if you are hurt in love?) Need time to accept it, I would let myself cry for a few days, and let out all the negative emotions and energy." This drama has many emotional scenes for Kate, and she was heavily praised by the producer for her realistic acting, and definitely has the ability to go for TV Queen. Her co-star, Lawrence Ng, also praised her as TV Queen material: "During filming, Kate put her heart into it, very professional and very easy to get along with. She is an actress who does all her homework and does it well, definitely TV Queen level." However, in terms of awards, Kate hasn't thought too much about it too much: "Everyone wants awards, but always thinking about it is very tiring. I won't choose dramas according to the chance of getting an award. 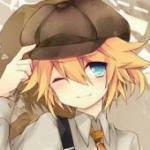 No matter what, I will try my best to do well in my role. Of course, I am very happy for the producer's praises, gave me a lot of chances, like last time in "Highs and Lows". I am also thankful to the screenwriter, creating such a special role for me, so I tried my best." Kate Tsui: We are well aware of our screen time! TVB actress Kate Tsui has recently defended co-star Josie Ho in recent rumours saying that the latter has boycotted their new series' promotions. As reported on Sina's Daily News, previously, it was rumoured that Josie was dissatisfied with the producers for giving more screen time to Kate in their new series, "Tomorrow is Another Day". Reportedly, Josie refused to attend promotional events as a sign of protest over the issue. Her absence from the 24 October promotional event in Sha Tin raised questions about the validity of the rumours. However, Kate, who was at the event in question, stepped up to quell speculations, saying, "Josie isn't here because of her schedule in mainland China." "She had also attended the first promotional event for the series previously," she added. The actress also dismissed rumours of Josie's screen time issue, saying that all the cast members have already known how much screen time they will get even before filming began. Artiste Kate Tsui (徐子珊) appeared at Tsim Sha Tsui to attend the celebration dinner of TVB Series, Tomorrow is Another Day (再戰明天). Earlier, when she travelled to Macau to attend the Huading Awards (華鼎獎), she fell sick and hasn't fully recuperated yet. Even though she didn't go see the doctor, but she sees change in her illness for the past two days: "I don't want to eat too much antibiotics! I was thinking about training my own immunity, I don't go see the doctor often." She revealed that she has lost her voice for two days. She almost had to use sign language to communicate and read books to pass time: "My manager called me and told me about my work but I couldn't even reply back. He told me not to speak, just type it out, my voice sounds too disgusting!" Moreover, she also revealed that she didn't personally treat everyone to dinner, and even pointed that once Lawrence Ng (吳啟華) returns to Hong Kong, she will let him treat everyone to dinner again: "Lawrence has a lot of money! (He's working so he couldn't come?) I'm not sure if he's in Mainland, but I do know that he's currently working. Originally he said he could come, but afterwards he said he couldn't anymore." The Lunar New Year is approaching so when asked how much red envelopes she is planning to get, Kate, who is gives a five-digit total every year, smiled and said: "Usually can't get back as much, I'm already this age, I would feel ashamed! (Quickly get married!) I want too!"